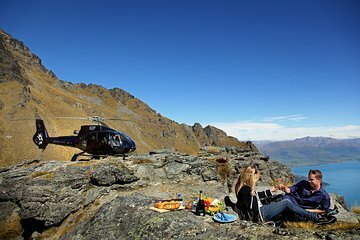 Fly for a Champagne picnic included with a private helicopter ride in the Southern Alps. You’re flown to a secluded alpine location, simply known as ‘The Ledge,’ and treated to panoramic views over the cobalt waters of Lake Wakatipu while you feast on gourmet food. Absorb the tranquility of these stunning surroundings and toast your special someone in privacy, before your return flight to civilization in bustling Queenstown.